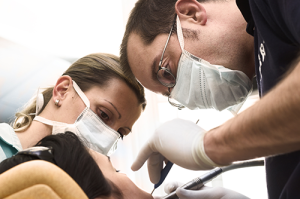 Extractions for wisdom teeth are not performed by Dr. Verbarg but referred to an oral surgeon. We do extract other teeth for a variety of reasons including before we place dentures or implants but all wisdom teeth extractions are referred to an oral surgeon. The information provided below is to help educate our patients on what to expect during extractions. • …and other food you can eat without chewing.